colonial period when the Assembly directly regulated some types of construction in municipal charters, such as the provision in a 1740 Edenton charter prohibiting wooden chimneys. In the nineteenth century the legislature gradually shifted from a mandatory approach for local governments to an "enabling" approach, in which localities were authorized but no longer directed to regulate construction matters, such as fire hazards, structural safety, and unsanitary and unhealthful conditions. In 1905 the General Assembly went beyond merely authorizing local codes by enacting a state building law that governed construction in all towns with a population over 1,000. The law required such towns to select a building inspector (often the fire chief if no other inspector was appointed) and designated the state commissioner of insurance responsible for overseeing these inspectors. In 1933 the legislature took a second pioneering step with the creation of the State Building Code Council. This measure recognized that construction technology and materials were changing so rapidly that a government untrained in construction matters and often meeting only every other year could not write, amend, and administer building regulations without an understanding of the process. The council, composed largely of professionals from the construction industry, was charged with writing a code, amending it to reflect changes, and hearing appeals from local inspectors concerning its correct interpretation. The council's first State Building Code was published in 1936 and ratified by the General Assembly in 1941. In 1957, based on recommendations by the Commission on Reorganization of State Government, the 1933 law that created the Building Code Council was largely rewritten. North Carolina has gone further than most states in centralizing the legislature's role in adopting building regulations. The State Building Code, however, does not contain all state building regulations. Others are located elsewhere in the General Statutes, including electrical materials required to ensure the safety of hot water heaters, as well as safety standards for trailers, fire escapes, and hotels. Some departments and agencies are empowered to adopt and enforce regulations that fall within their areas of competence, such as the Commissioner of Labor's duty to oversee boiler and pressure vessels. 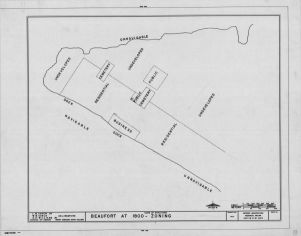 Planning-related land-use regulations, which deal with building use and location, also date from colonial times. Most of today's land-use regulations result from what is now known as city or county planning. Beginning in 1950, the General Assembly granted counties the power to create planning boards, zone and enact subdivision regulations, and establish other regulatory control measures already enjoyed by cities. It authorized the creation of regional planning commissions, regional economic development commissions, and economic development commissions in 1961 and regional councils of government in 1971. On 4 May 1982 the North Carolina Supreme Court reversed a long-standing legal doctrine by giving local governments the flexibility to base planning and zoning decisions solely on aesthetics. This followed a 1979 ruling involving the Oakwood Historic District of Raleigh in which the court held that historic preservation was a valid reason for letting the city enforce ordinances establishing architectural standards in a designated area. The third line of land-use regulation, environmental laws and regulations, is concerned with protecting and managing the quality of the human environment, specifically air, water, and land. Environmentalism, involving federal, state, and local governments and private organizations, took hold in the 1960s and continues to evolve. North Carolina has enacted laws to control air and water pollution, drinking water quality, pesticide use, mining practices, radiation protection, hazardous waste and toxic substances disposal, and other concerns. In many cases the federal government sets environmental standards and the states develop the administrative machinery for achieving these standards. Thus, in many cases the state is essentially the conduit for a federal program. Local involvement in environmental control varies with the specific program involved. Philip P. Green, Zoning in North Carolina (1952). Charles D. Liner, ed., State-Local Relations in North Carolina: Their Evolution and Current Status (1985). An Act to Create a Building Code Council for North Carolina, Public laws and resolutions passed by the General Assembly at its session of..., North Carolina Digital Collections, Department of Cultural Resources: http://digital.ncdcr.gov/u?/p249901coll22,241995. North Carolina Building Code, Building Code Council. Raleigh : North Carolina State College of Agriculture and Engineering of the University of Carolina, : http://www.worldcat.org/title/north-carolina-building-code/oclc/021570497. Session laws and resolutions passed by the General Assembly . North Carolina Digital Collections, Department of Cultural Resources of North Carolina: http://digital.ncdcr.gov/u?/p249901coll22,384379. 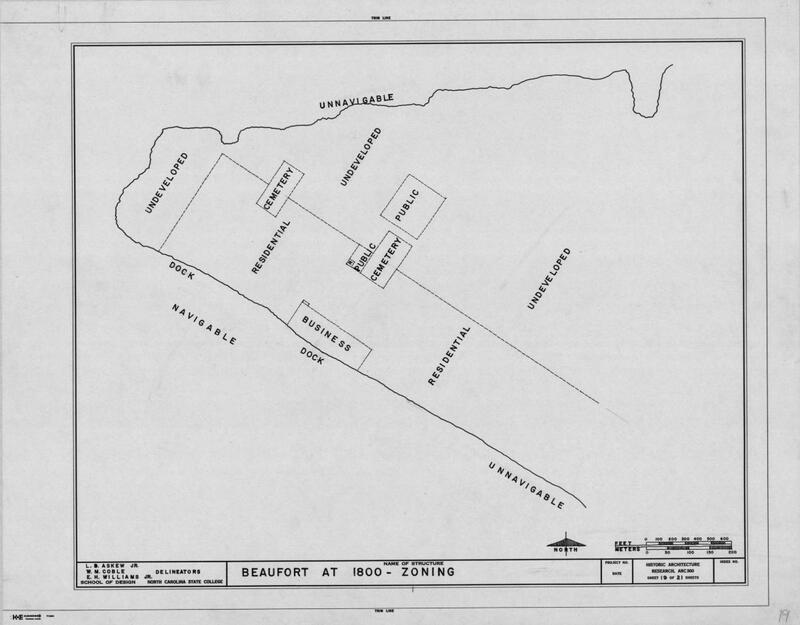 "1800 zoning of Beaufort, historical background of Beaufort, Beaufort, North Carolina". Item Identifier: bh020319419. Special Collections Research Center, North Carolina State University Libraries, Raleigh, North Carolina. Available from http://d.lib.ncsu.edu/collections/catalog/bh020319419.